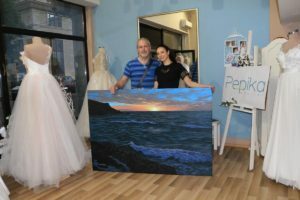 Delivered this to “Pepika Atelier” in Skopje, the idea behind the painting was something with a nice appeal to accompany her wedding dresses, so we came up with this. The view is from Fistral In Cornwall, UK, catching the sun just about to set. 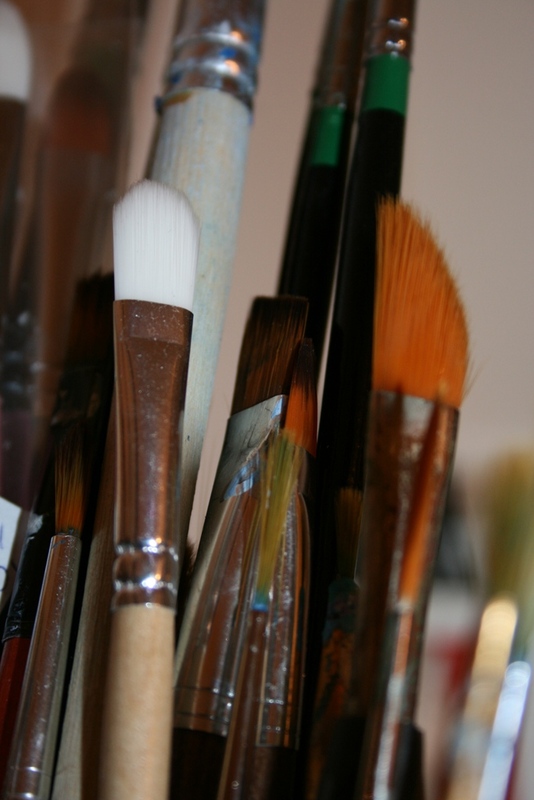 Her “atelier” is just off Ul. Makedonia in the centre of the city. She is a lovely person and a great designer. Pop by if you are in the neighbourhood! “Setting sun over Fistral Bay, Cornwall”. 110cm x 160cm acrylic on canvas.